The weather in DC is HOT. But that doesn’t mean my morning oats ritual is gone. Lately, instead of eating hot oats, I have them cold! 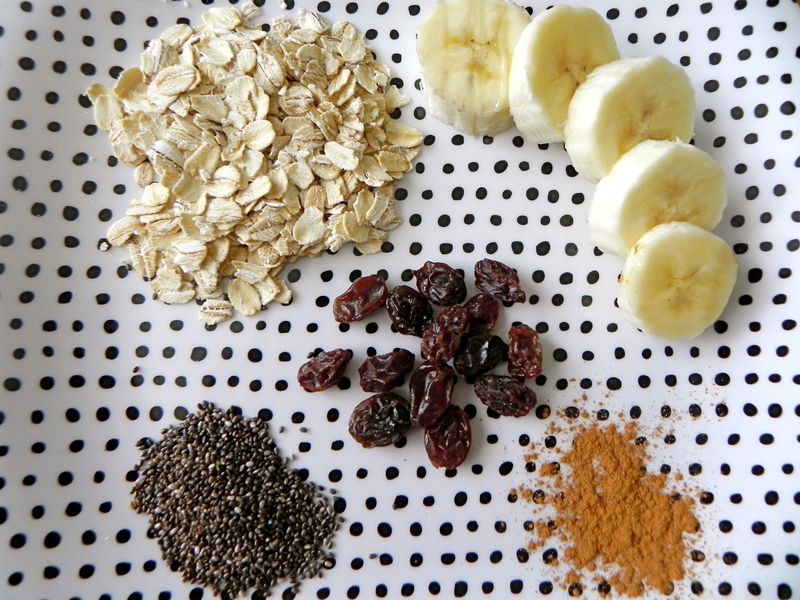 Overnight oats are exactly what the name says-oats that prepare themselves overnight. Overnight, the oats soak up the liquid, making it dense and delicious, and making my morning a little brighter. The best part? It requires no cooking, just combining the ingredients! Many bloggers have turned me to this way of prepping oats and I thank you all. It has changed my life. If you try it, it will change yours too. I promise. 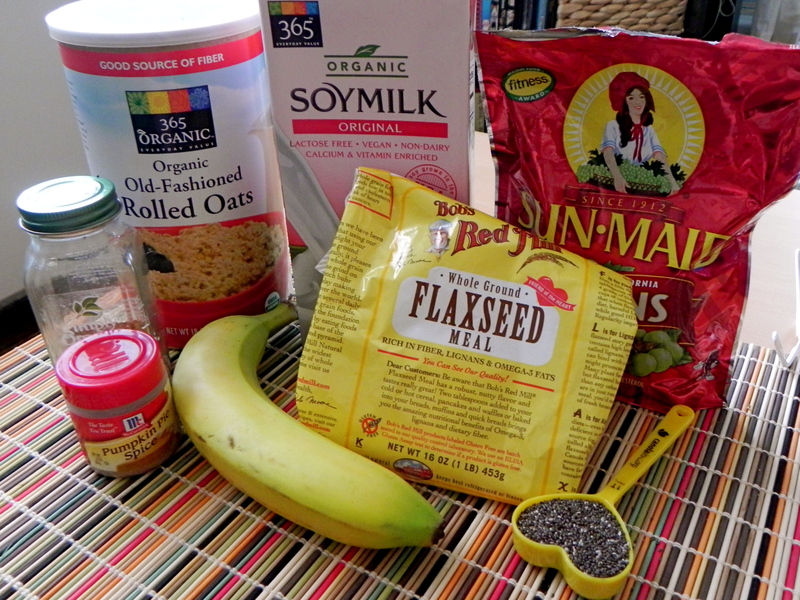 To make the oats, combine all ingredients into a bowl (or favorite jar). Then the tricky part: you wait. 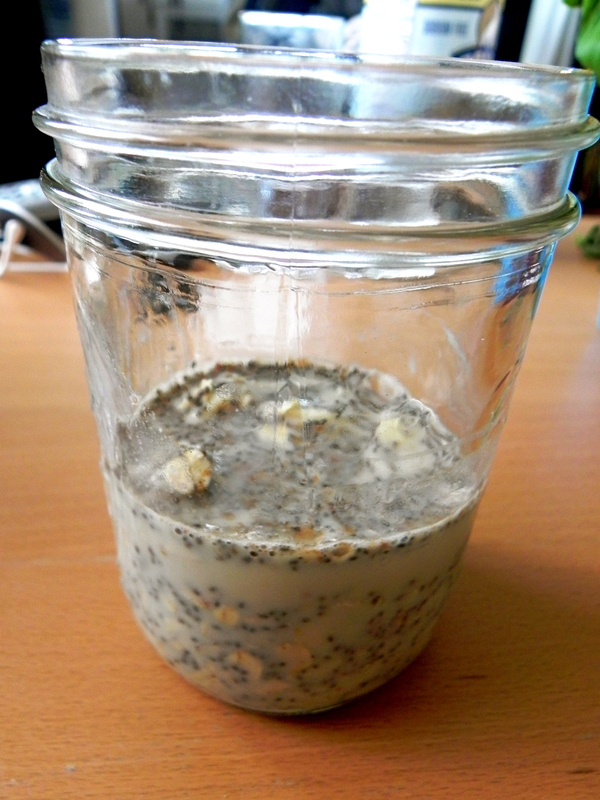 Overnight the oats and chia seeds soak up the milk for the morning! Deelicious! 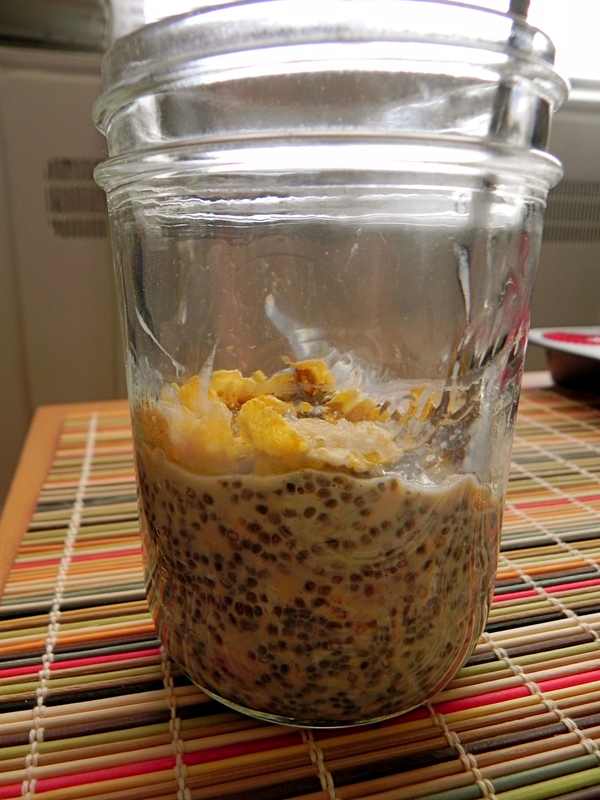 If you don’t have Chia Seeds, you’ll need to vary the recipe to get that extra creaminess. Simply reduce your milk to 1/4 cup and add 1/4 cup plain, fat-free yogurt. Problem solved! 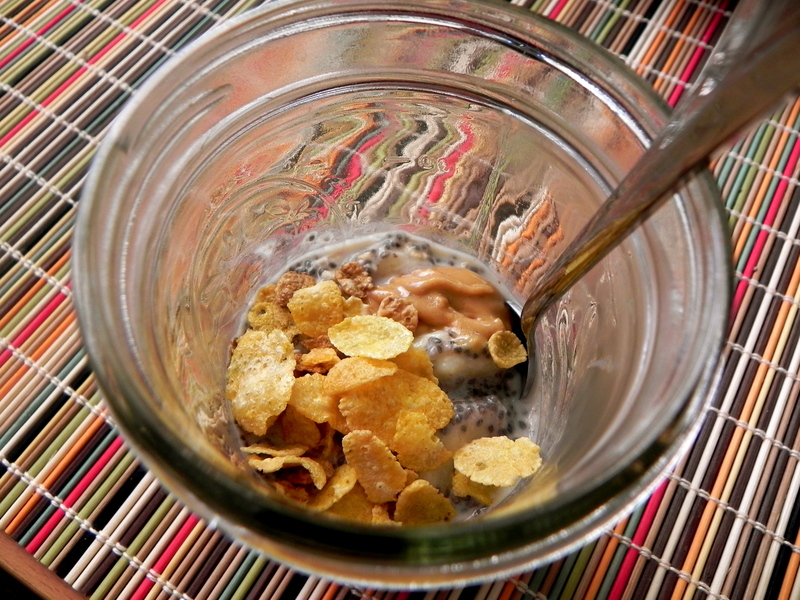 The great part about overnight oats is that you can make them however you choose! I sometimes like to add frozen berries, coconut, or flax seeds to spice it up. Add a variety of your favorite fruits, nuts and seeds for a personalized breakfast and a great start to your day. Have it Your Weigh. LOVE ME SOME OVERNIGHT OATS! 🙂 This post reminded me to go make myself some for tomorrow. Thanks! Thank you so much for posting this!! It is so delicious and perfect for this humid, hot summer. Thanks so much for inspiring the post!